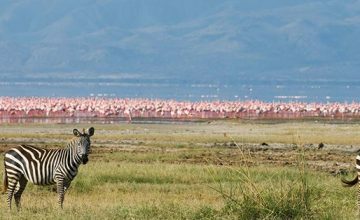 6 Days Wildlife Safari in Tanzania features the Tanzania’s main destinations of Arusha National Park, Lake Manyara National Park, Ngorongoro Crater, Serengeti National Park and Tarangire National Park. 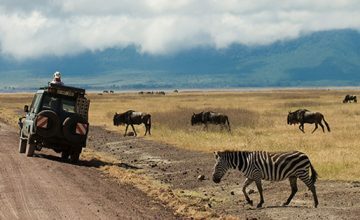 It is a magical tour to Tanzania’s famous Northern Circuit offering uninterrupted views of the wild game including the Big five, bird watching and Sightseeing. 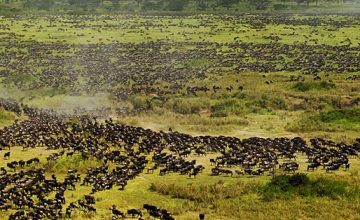 Set off from the Arusha town and transfer to Arusha National Park where you can undertake a walking safari along with game drive. The walk takes you through the park’s magnificent forest before approaching the stunning waterfall in the interior of the park. 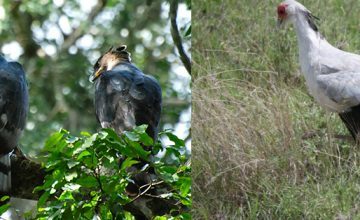 The trek offers you possibilities of viewing Black and White Colobus Monkeys, Buffalos, Zebras and a range of antelope species not forgetting bird watching encounters. 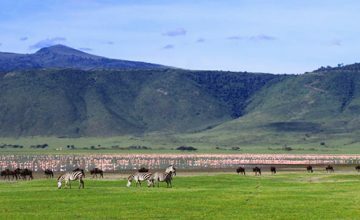 You settle for picnic lunch after which you undertake an evening game drive in the park visiting Momela Lakes where you have possibilities of viewing the beautiful flamingos along with the overlooking views of Mount Kilimanjaro and Mount Meru. Set off from Arusha hotel after breakfast and embark on the transfer to Lake Manyara National Park. At the boundary of the park, Mto wa mbu features local markets where you can secure fresh fruits and souvenirs along with exploring the local way of life. 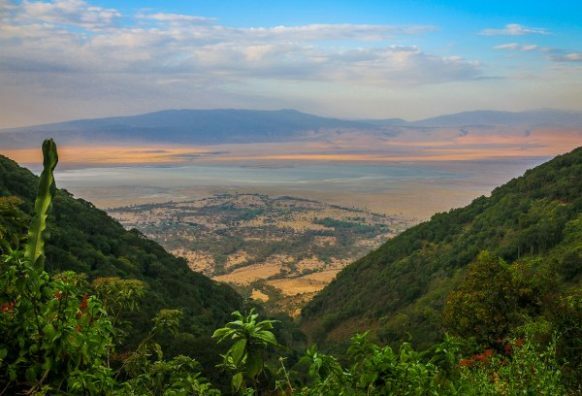 In the afternoon, you undertake a game drive in Lake Manyara National Park with possibilities of exploring its unique tree climbing lions, the Africa’s largest Baboon troop, magnificent flamingos at the lake and the scenic views of the great Rift valley. Retire for relaxation dinner and overnight. 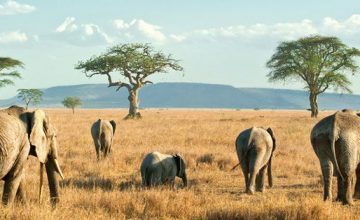 Following breakfast, you embark on the drive to Serengeti National Park traversing the forest covers of Ngorongoro Conservation Area with possibilities of viewing Baboons, Elephants and Cape Buffalos thriving in the dense undergrowth. A stop can be made at Olduvai Gorge positioned on a pre-historic lake that was subsequently covered by volcanic ash. The site has proved very significant to the human evolution following the fossil discovery by Dr Leakey in 1960s. The Museum details a lot about the early man. 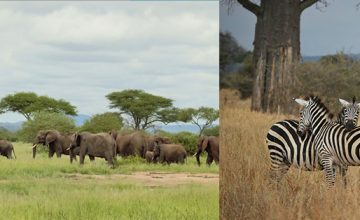 You proceed on the drive to Serengeti National Park and do a game drive as you connect to the lodge for relaxation, dinner and overnight. 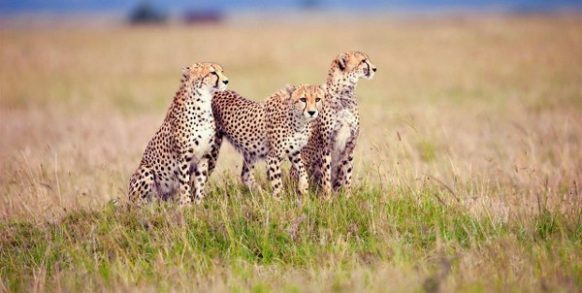 Following breakfast, you set off for an early morning game drive to catch up with the predators like lions, cheetah and leopards utilizing the morning cool temperatures to hunt their prey. 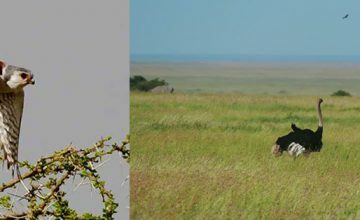 The extensive game drive in the Seronera Area offers possibilities of exploring counts of Wildebeest, Giraffes, Zebras, Elephant, Gazelles and Elands among others. 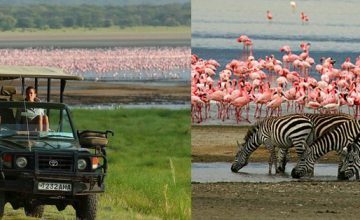 From Serengeti, you embark on the drive to Ngorongoro Crater Conservation Area for relaxation, dinner and overnight. 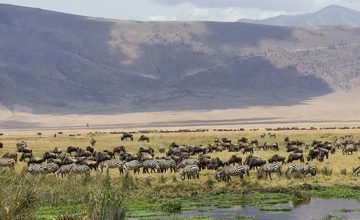 This is dedicated for a full day Ngorongoro Crater exploration – one the Natural wonders of the world. 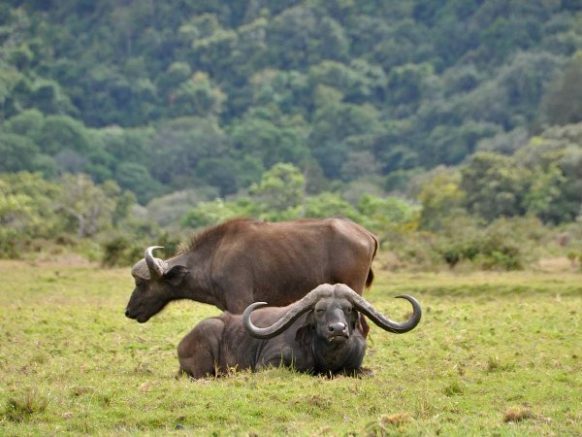 The extensive wildlife encounters in the Crater include; the Big five of African Game namely; Lions, Leopards, Buffalos, Elephants and Rhinos including the Black Rhinos. The crater floor features over 120 mammal species. The amazing sightseeing experience of the crater is very fascinating. It stands as the World’s largest intact, unfilled and inactive volcanic caldera. You set off after breakfast to Arusha. 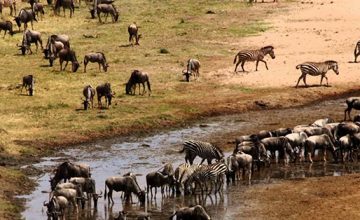 An en route game drive will be undertaken in Tarangire National Park. Tarangire National Park offers remarkable views of Baobab tree species that align along the River Banks. The Picnic lunch is enjoyed on the river banks enjoying the animals views as they congregate to sip on the thrilling waters. 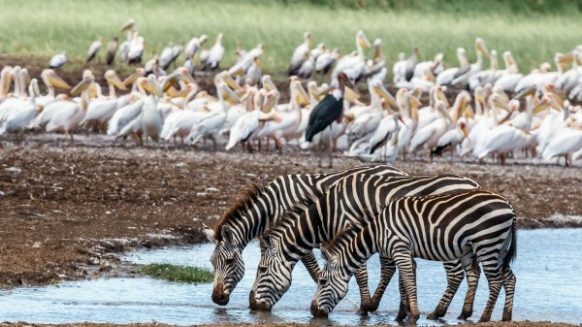 The possible wildlife views include; the Lions, Elephants, Giraffes, Zebra, Antelope, the fringe-eared Oryx, long necked gerenuk and Greater Kudu among others.